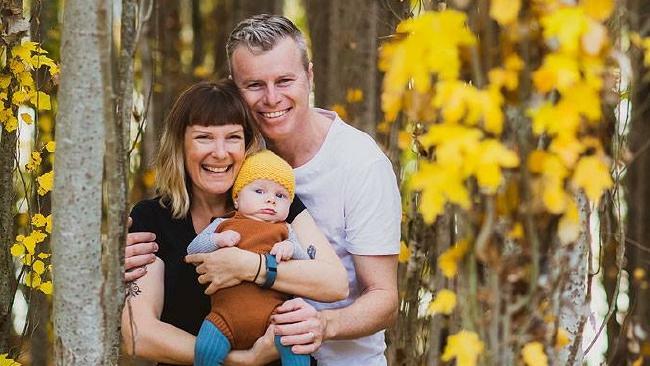 EXCLUSIVE: VIRGIN Australia has threatened to kick a young family with a five-month-old baby off a flight if they complained about delays to the service on social media. 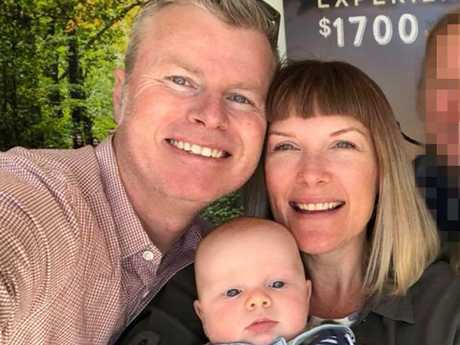 Katie Kolenberg, her partner Jeremy Byrnes and baby August were flying from Canberra to Cairns today with Virgin only to be told after already checking in that their plane would be delayed by five hours due to the inbound aircraft being delayed. The supervisor on duty told the young family that they had to wait in the airport and would not arrive at their final destination with their baby until 10.30pm or they could go home and miss a day of their holiday and a night's accommodation, to fly out tomorrow. Ms Kolenberg asked for assistance should they remain at the airport and somewhere comfortable to breastfeed her young son, suggesting access to the Virgin lounge, and all requests were refused. The mother and her baby were denied access to the Virgin lounge despite the five-and-a-half hour delay. "Staff were rude, unhelpful, no compensation, no assistance," Ms Kolenberg said. "I was really mad about how they were treating us and I said to her that I'd post on social media and maybe get a better result. "(The check-in supervisor) said that she could prevent us from flying later in the day if I went on social media to complain. "(She) told me that's what WOULD happen if I complained about the flight stuff up and our subsequent treatment on social media. "She said 'we have the authority to do that'. "It took three people and tears on my behalf before someone even offered us a meal voucher." The airline warned the couple they would ban them from the flight if they vented their frustration on social media. Ms Kolenberg said if the couple hadn't been with their young son they would have taken the incident in their stride. "We've been here since 11.30am. And we now fly out at 5.30pm," she said. "If we didn't have Augie we would've just gone home and enjoyed a day in front of Netflix. But it's a bit different when you need a car seat to get home and all your sh*t is packed etc." Alys Gagnon from The Parenthood said the treatment of the family was "shocking". "I am dumbfounded that one of this country's biggest companies - one with reputation of friendly and professional service - would threaten a mother of a five-month-old baby in this way," Ms Gagnon said. "I would seriously encourage Virgin Australia to counsel their staff and to apologise to this family and do everything in their power to make sure they have a safe journey. "If Virgin Australia have a policy of gagging their customers on social media it is of great concern and I urge them to clarify this. If that is their policy I will be thinking seriously about if I book with them in the future." Katie Kolenberg says the airline staff refused to help her even when she asked for a quiet place to breastfeed her baby son. 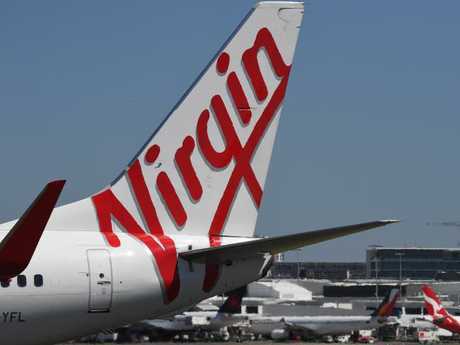 CHOICE said they were "appalled but not surprised" by the alleged behaviour of Virgin Australia. "We've seen airlines disrespect passengers for too long," Erin Turner, CHOICE spokeswoman said. "Passengers shouldn't have to fight to stick up for themselves, they should be given consistent service and care when experiencing delays." Virgin Australia last night said it was supportive of feedback on social media and would investigate the conduct of the staff member. 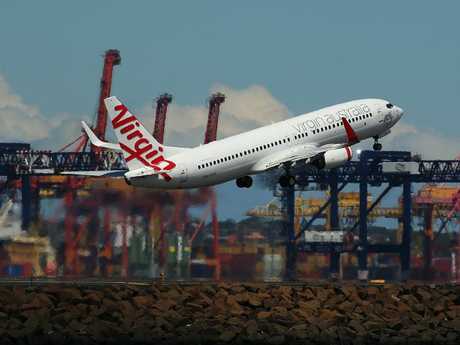 "Virgin Australia welcomes all feedback from our guests including feedback received on social media," a spokeswoman said. Australian esafety Commissioner Julie Inman Grant said: "Social media is becoming more integral to every aspect of our lives for both individuals and organisations." "Learning how to constructively manage social media as either a customer service or transparency tool will be critical for organisations. "For individuals this can be a useful tool to get the help or assistance otherwise not available but we should always strive to do so respectfully."